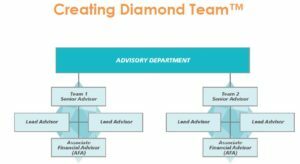 The Diamond Team concept, created by Herbers, is a great piece of the overall staffing pie. However, advisor owners are ignoring the “Advisory Department” blue box and the need for C Level roles and responsibilities. 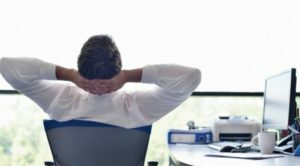 If you are a Senior Advisor, there isn’t enough time in your day to also manage compliance, tech, firm-wide processes, marketing, compensation/hr, and more. Your work day will already be completely filled with time mentoring two lead advisors, an associate advisor, overseeing the client servicing efforts, and developing new business. This conundrum explains why many firms dream of creating Diamond Teams but only very large firms have succeeded in doing so. 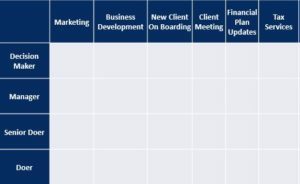 Step #1: Complete a People Utilization (partial example below) chart. Add a column for each major area of the business, such as compliance, HR, accounting, etc. Each staff person should complete the chart separately. Comparing answers in advance produces inaccurate results on who feels or is fulfilling each role. STEP #2: Document a few major processes by completing a chart defining the What, Who, How, Tech, Elements (sample below). This exercise will uncover people utilization in more depth. Compare the results to your Utilization Chart to see if the person entered for decision maker, manager and doer matches the Process chart. STEP #3: STEP AWAY and allow your mind to raise questions and thoughts on how, when, and if you will achieve the Diamond Team structure. These steps will bring clarity on how you can strive for creating Diamond Teams. Good luck and Carpe Diem!